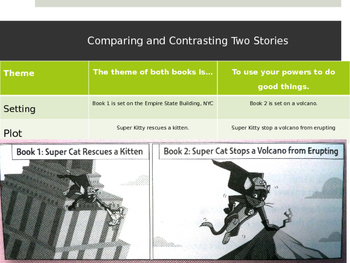 Are you looking for an easy way to introduce the CCSS to your students? If so, then this presentation is for you! 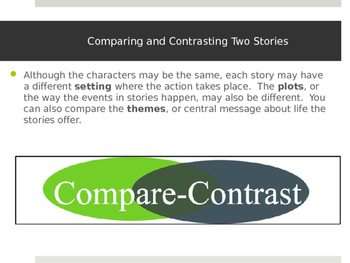 RL.3.9 compares and contrasts the themes, settings, and plots of stories written by the same author about the same or similar characters in books from a series. 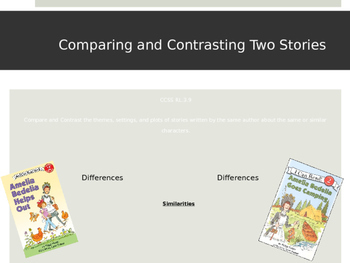 After tapping into the students' prior knowledge, the presentation provides an opportunity for the children to look at the titles and pictures from two books, and to compare and contrast their settings, plots, and themes. 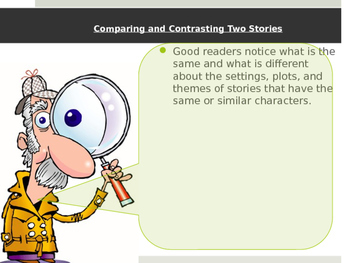 This lesson serves as an introduction to the standard, and works well as a springboard into a week of further study.